Now in its sixth year, the Unpopular Opinion article has been the mixed bag of surprising successes and embarrassing failures that you could expect from risk-heavy prognostication. 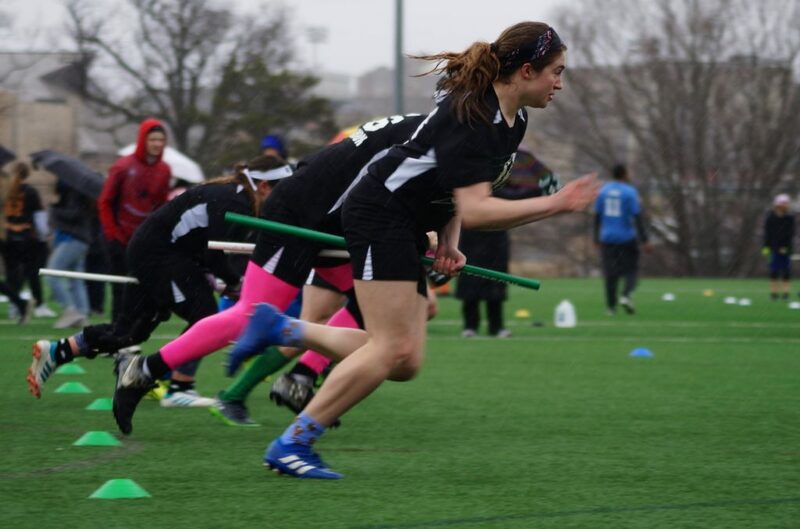 We’ve had the highs of calling the Final-Four runs of University of Maryland and the first-year Bosnyan Bearsharks and the lows of predicting a Lost Boys championship at World Cup VII and a Nomads finals spot this past season. So far, we’ve gone 2-for-3 at World Cup VI, 6-for-9 at World Cup VII, 4-for-6 at World Cup 8, 2-for-5 at USQ Cup 9, 5-for-8 at USQ Cup 10 and an underwhelming 2-for-6 this past year. 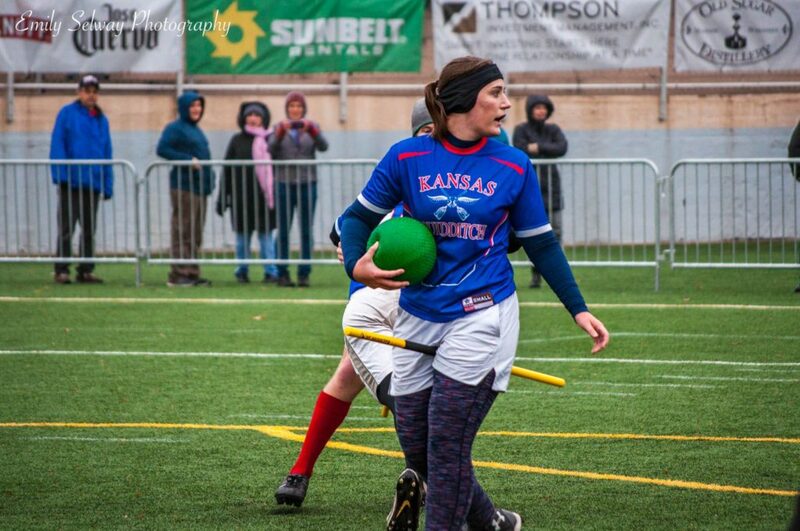 Last year at this time, the Midwest sported two teams–University of Missouri and University of Kansas–as three seeds loaded with top-tier talent, including future USNT players Jacob Parker and Rachel Heald, respectively. Meanwhile, the Great Lakes had Ball State University and the University of Miami-Ohio as three seeds and University of Michigan and Central Michigan University as five seeds in their respective flights. However, despite their impressive seeding numbers, these regions combined to field a single team–Kansas–in the Elite Eight. One need only cast a cursory glance at the collegiate flights to notice a rather similar trend: high-seeded Midwest and Great Lakes teams. Indeed six of the teams from these regions (Miami-Ohio, Kansas, Mizzou, Central Michigan, Ohio University and Michigan) are a three seed or above in their respective flights. On paper, these teams appear to be powerhouses, combining for 114 wins on the season to only 18 losses. However, yet again only one team–Kansas–will make it to the Elite Eight. The first reason for this is the inflated records of both regions. The easiest records to pick apart belong to Ohio University and Michigan. Last year, Ohio failed to qualify for bracket play at nationals. This season, they’ve failed to put up points against weak opponents, losing to 10th-seeded RIT 30-70* and only putting up 40 quaffle points on Virginia Tech. Their marquee wins have come against Penn State University and BGSU, two teams realistically outside the top 20 in college. Michigan, on the other hand, lost out-of-range in the Round of 32 to Miami-Ohio last year and fell to Ball State this year. Their marquee win was against Central Michigan, a team who beat them twice this season alone. It’s tough to see them living up to their two-seed billing, especially with University of Virginia, Texas State University and RPI in their flight. The other reason for heartbreak in the Heartland is due to sheer bad luck. Kansas, Mizzou and Central Michigan were all drawn into the “Pool of Death”–Flight B–with Utah State University and UCLA. It’s hard to imagine a scenario in which Central Michigan finishes above fifth or sixth in this flight, and has anything but a rough path to the Elite Eight. That just leaves a Mizzou team who needs to make it farther than they did last year without the aid of Parker or David Becker, or a Miami-Ohio team that bowed out in the Sweet 16 last year, fell to BGSU in October and has played three games since November. You may have heard me mention once or twice that the University of Rochester followed a very simple formula to a national title last season. They had an elite college ball handler in Basem Ashkar, a top-notch two-male beater set, a hot-handed seeker in Mike Pascutoi and rode those three factors to a title. And while that analysis is undoubtedly surface level and short changes some key contributions by other members of the squad, a quick review of the tape shows it to be pretty darn accurate. But with Ashkar, Pascutoi and Perry Wang departing, Rochester is no longer the team best equipped to ride that formula to a deep bracket run. That distinction, instead, falls with No. 9 Utah State University. Boasting just 16 players for USQ Cup, the Aggies have one of the shortest rosters amongst contending college squads. However, the team has already used their small numbers to great effect, scoring victories over both UCLA and UC Berkeley on their way to win this year’s West Regional Championship. Dru Smith and Anthony Snapp are the team’s go-to beater pair and have left their West rivals constantly searching for answers to their beating game. On quaffle, Cameron VomBaur does much of the heavy lifting but can rely on Kellan Huber when he needs a break. But Huber is even more vital in the seeker game, spearheading the team’s 4-2 SWIM record this season. Add in a couple of physical point defenders that get the job done, and these Aggies start looking a little like Thestrals if you squint hard enough. Utah State has also benefited from a friendly draw. Yes, they got the University of Kansas–one of the few opponents boasting the non-male quaffle talent to match up well against Utah State’s non-standard sets. But beyond the Jayhawks, Utah State will see a University of Missouri team that hasn’t played a competitive match since November, a Central Michigan University team from a fully-unproven region and a UCLA team that they have already beat. Beyond those four matchups, Utah State should be heavy favorites in every flight match without hesitation; they have already proved that they aren’t prone to choke when they’re favored or underperform against weaker teams, going 4-0 at their regional with an average of only 15 quaffle points against and no in-range games until the semifinals. After Utah State emerges from the bracket–ideally on the two-seed line far from Kansas–things become even more favorable for the Aggies. Now they’ll get to face teams that probably didn’t have the chance or ability to scout them, and coast with at least one or two favorable matchups before things get tough. And when the competition increases, it will be incredibly hard to put this team out of range. In the 25 games they’ve played,the Aggies have only allowed their opponents to score more than 60 points in just eight of those matches; this trend renders an out-of-range game against Utah State all but impossible. And if Huber can get hot–with the talent of Smith and Snapp opening up time with the snitch–there’s plenty of reason to believe that the Aggies could end up in a semifinal on Sunday. Yes, lacking depth is always a concern at nationals and, yes, the wrong injury could absolutely hamstring the Aggies. But thriving when undermanned is just what this team does best. 16 players were enough for a West Regional Championship run, and Utah State is just as capable of a Final Four run at nationals. And I promise I’m not just saying this because of a certain picture I tweeted out two years ago. Perhaps the most convincing superstition to the sport of quidditch is the curse of the Southwest Regional Champion: the team to reign has never managed to take the national title in the same year. There have been several times where the Southwest champion has been a runner-up but–even after the college/club split–the curse has held. Baylor University, Texas A&M University, Lone Star Q.C. and Texas State University have all fell victim to this jinx, all in years that they were favorites to win largely because of their status as regional champions of the nation’s strongest region. This year, we will have two fresh targets to face the curse. 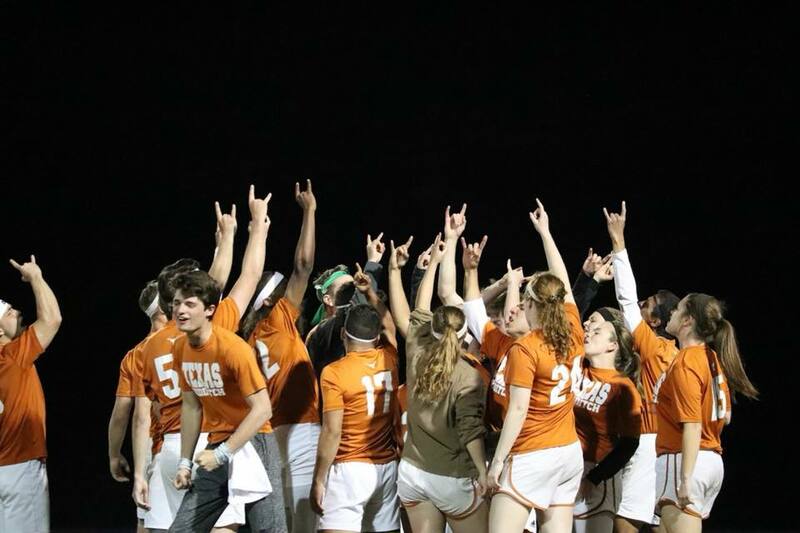 The University of Texas is definitely a strong contender among the college teams, demonstrating strong beating and good teamwork throughout their run to the top of their region. Moreover, Texas Hill Country Heat is arguably the favorite for the club title. Both teams have proven themselves repeatedly against the strongest teams in the country, dominating all aspects of the pitch, and Heat has numerous veterans that have been on the brink of championships before. These teams are hungry for the gold and will fight tooth-and-nail to earn it. And yet, they will both fall short. On the collegiate side, Texas faces threats from both inside and outside of the region. This year’s Southwest finals against Texas State was a closely fought match. While Texas tipped the match in their favor with slightly better chemistry and teamwork, Texas State arguably has the more skilled individuals. While their chemistry has worked out for past iterations of Texas against teams like Lone Star and Texas A&M in their prime, last year showed it has a limit. The USQ Cup 11 collegiate finals pitted a team built on chemistry against a team built around three star players, and University of Rochester’s victory proved there is no substitution for truly elite talent on the collegiate side of things. A Utah State University or UC Berkeley, running on the same formula as last year’s collegiate champs, could pull an upset. On the club side, it might be hard to believe that Heat could lose when see the regional results but the idea becomes more plausible when you see the games themselves. While Heat has put on commanding performances throughout the season–running a clinic against the other club teams at the Southwest Regional Championship–Cavalry did not put their all into that finals. While most teams would consider it unthinkable to hold back for a regional championship, Cavalry seems to think that there’s only one championship worth playing for. Cavalry benched and limited the playtime of many of their top players in that finals match–in addition to losing others to injury–so we don’t truly know what a full-strength Calvary will bring to nationals. All we know is that Heat will see a different and stronger Cavalry in Round Rock, along with contenders from the Northeast, West and the rest that might catch them off-guard. Long story short, the curse will hold and the southwest might as well invest in a broken mirror to use as their championship trophy. Sadly for anyone interested in discussing the finer points of quidditch, the community spent the week leading up to USQ Cup 12 talking about the weather. The forecast for Saturday calls for morning thunderstorms and–given USQ’s rather murky season so far in terms of handling weather, including multiple regional championships being cut short–many people fear this weekend could bring more of the same. But luckily, there are a number of factors playing in USQ’s favor this weekend. The communication channels that exist for USQ Cup 12–from text messages to the television screens throughout the complex–will make it is much easier for updates to be dispersed to the players and volunteers than at other prior tournaments. The organization also made the decision to center the player area closer within the complex, giving the tournament team more immediate access to their volunteer base as needed. Mother Nature should be on their side as well, as the storm is predicted to leave the city by noon, which would mean the loss of just three hours of play, or four time slots. USQ’s chosen formats and schedule also offer multiple strong options for making up those lost time slots. The tournament could gain a time slot by cutting the club team bracket to eight teams, or gain two time slots by cutting the college team bracket to the 20 teams who leave the Swiss flights with a record of 3-1 or better. USQ could also cut the last four time slots of Swiss flights and allow all teams 1-2 or better to advance to the bracket, though that would make for a fairly large bracket on Sunday. While there have also been some that fear a partial cut into the club teams’s pool play, doing so equitably would be all but impossible and should not be considered when the above options seem much more viable. USQ, to its credit, has also gotten out in front of the weather, publicly announcing their intention to address the situation late Wednesday night–the organization’s new go-to time for news releases–with a follow-up, comprehensive plan to follow at time of writing. With plan from the get-go, teams will have reasonable expectations on what might be required on Saturday, tempering the panicked craziness that can derail a tournament in a hurry. I’m not here to say this tournament will go off without a hitch. The snitch shortage offers real cause for concern, and there’s a legitimate chance that–when officiating gets its first real test after the non-existent stakes of the regular season–referees will be found wanting. But the predicted Saturday morning thunderstorms are currently getting the proper attention from all involved parties, and I am confident they will be handled as smoothly as possible. To anyone whose bookie gives lines on quidditch events–bet on Ohio University. History, coaches rankings and even Elo ratings all have Ohio as a long shot to do well at this tournament, and most would predict them gone before the Sweet 16. Bookies and pundits may write Ohio out early, looking at the fact that the team has historically gone 1-11 at nationals and never made bracket. Long time fans might look to The Eighth Man’s Media Rankings and note that the team has never received a vote. Stats nerds might look to our Elo ratings and see them ranked 18th overall, a weighted coin flip against them even making it past the Round of 32. Quick observers may look at their results and notice that they most recently lost to RIT, and played Virginia Tech in-range but two weeks ago. Seeding – Ohio has lucked into Flight C at nationals–a flight that boasts the University of Maryland and the University of Texas, and then little-to-no competition after that. While even I won’t argue that this team is likely to beat Maryland or Texas, they don’t need to to end up with a nice bracket seed. A loss to one of those top two teams means a favorable matchup against one of the many teams currently in a rebuilding year. Ohio University could easily leave their flight 3-1 and potentially clinch a bracket seed as high as nine and as low as 16. From there, this team should almost certainly receive a bye to the Round of 32, and likely receive a manageable matchup there. A win at the top of brackets would mean that Ohio could likely face a mid-to-top tier contender, such as the University of Missouri, Miami University-Ohio or Central Michigan University. While those teams are by no means pushovers, Ohio has already shown this season that they can hang neck-and-neck with teams at that caliber; in an in-range game, it would only take a snitch catch to put them through to the quarterfinals. Preparedness – Hailing from Ohio but competing in the Mid-Atlantic, Ohio enters nationals with a wider-range of regional opponents–and thus more preparation–than the average team in their position. In their last tournament alone, they played against teams from three separate regions. While Ohio may have lost to out-of-region opponents Central Michigan and RIT, these games were closely fought and gave the Bobcats something more valuable than wins: readiness. Physicality – Ask anyone from the Great Lakes, and they will joke that they sent Ohio University to the Mid-Atlantic because they were tired of how hard the team could hit. In a tournament like nationals–especially one with a format as draining as Swiss play–depth and physicality are two of the most important things a team can bring to the field. Ohio boasts the ability to give and take contact in the chaser game, and the depth should be there as well, as their roster promises that a full 21 will make the trip from Athens to Round Rock this weekend. While many people can offer more in-depth analysis of this teams strengths, players to watch out for and roster news, placing a long-shot bet on an underdog isn’t about doing lots of research or having all the facts–it’s about trusting your gut and sticking to it, and that’s what I’m doing with Ohio. Almost exactly five years ago to the day, No. 5 Q.C. Boston lost out-of-range to the University of Texas in pool play at World Cup VII, arguably the lowest point in a season full of them. The following morning, the team was eliminated in the first round of bracket play by RIT. Five months later, Max Havlin joined the team after graduating from Boston University. In the five years since, Q.C. Boston has not lost a match out-of-range. It’s a testament to the core of this squad in both its talent and its understanding of the sport that this statistical anomaly has held through roster turnover after roster turnover, through strong years and underwhelming ones, through untimely injuries and unseemly lack of depth. Jayke Archibald, Max Havlin, Lulu Xu and Harry Greenhouse– who have also all been integral parts of the USNT in the past two cycles–have consistently steadied this program and it’s that steadiness, alongside some very impressive seeker game options, that make them such a threat for a USQ Cup title. There is no convincing reason to expect the in-range streak to break given Q.C. Boston’s on-pitch control and the current club team meta. With Archibald, Greenhouse and Nik Jablonski on the pitch together, the team boasts three players with extensive ball-handling experience that allows it to only move the pace of the game when it wants to, especially behind the squad’s talented beating core. All three are also threats in the fast break and with mid-range shooting, making it extremely difficult to keep Q.C. Boston fully off the board, even with strong half-court defense. At USQ Cup 11, Q.C. Boston outscored eventual champion Texas Cavalry 60-30 during the seeker floor and eventually played them to a 60-60 draw in the quaffle game, and there’s little reason to expect any worse quaffle result this season. And with snitch on pitch, Q.C. Boston is not scared by anyone. Havlin and Xu are a ferocious pair in seeker beating, but they can also go to a two-male set with veteran, athletic options like Jesse Knowlton and Matt Cardarelli off the bench. At seeker, they have two top-notch options in Greenhouse and Greg Bento to rotate through depending on the snitch matchup. Since Bento joined the team, Q.C. Boston is 13-8 in SWIM situations, though take away last season’s Cup performance and they are a much more intimidating 12-5. So let’s talk about that USQ Cup 11 performance. Much of the core of team, including Havlin, Xu, Greenhouse and starting female chaser Grace Dastous entered Saturday on little-to-no sleep thanks to a flight redirect the night before. Xu was also nursing an injury and was far from 100 percent to begin with. Despite that, they still outplayed Cavalry to the brink of out-of-range on Saturday, though they also suffered a loss to the Long Beach Funky Quaffles. They beat Lake Erie Elite Sunday morning, only to see them again immediately, losing on a snitch grab. All of those shortcomings tie in neatly with issues no longer plaguing the team this weekend. A rested Greenhouse will mean the ability for them to stretch his minutes against teams like Long Beach, avoiding underwhelming score lines. And against top-tier two-male beater sets like the pairs they lost in-range to last season–Augustine Monroe and Cole Travis from Cavalry and Tyler Walker and Matt Brown from Lake Erie–they will have a healthier Xu and better options to meet them with a two-male beater set of their own. The schedule also breaks neatly for Q.C. Boston. The team will see the Bosnyan Bearsharks in their pool, likely guaranteeing that a team that knows them better than anyone and that knocked them out of contention in USQ Cup 10 will land on the other side of the bracket. And none of the bottom three teams in the pool offer any threat to the talent Q.C. Boston has in the way a Long Beach could a season ago. They also have a massive beater advantage against Lone Star, meaning a win against the Bearsharks likely means a pool victory and a spot in the quarterfinals, a needed break for a team lacking depth. Maybe everything will go wrong for Q.C. Boston, and the wrong injury will spell doom for the team that cannot afford to lose any vital cogs. Or maybe a lack of depth in female players will loom larger than I expect it too. But more likely, Q.C. Boston continues to control the pace of play, lets its stars do what they do best, sees a return to the mean in snitch-on-pitch play from last season and maybe even gets Greenhouse his first full night of sleep before a USQ Cup since 2016, which just so happens to be the last time Q.C. Boston won a national title.